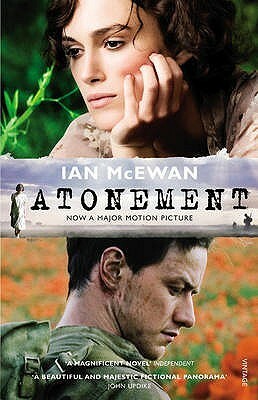 Much like with "yesterday's" book "Rebecca", I already knew the story of "Atonement" before I started it. I've been meaning to read Ian McEwan for a long time, so when the movie was made (and by the Wright/Knightley/Marianelli dream team behind "Pride and Prejudice" no less), I knew I had to see it. Afterwards I wanted to read the book even more, but somehow I've never gotten around to it. Or to any other Ian McEwan novel.